Skeletons and jack-o-lanterns are everywhere as Halloween approaches and people get in the mood to make and eat some creepy treats. Nordic Ware released a Skull Cake PanÂ that is a great way to blend your desserts with Halloween decorations by turning a cake into a spooky centerpiece. 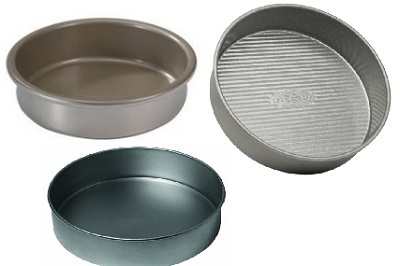 The cake pan is made of heavy duty cast aluminum and has a nonstick interior, so your cake will come out with the eyes, teeth and jawline of the skull intact. It comes with a recipe, but you should be able to adapt a recipe for a favorite bundt cake to work in this pan by extending the baking time a bit. The pan has two cavities for both the base of the skull and the front of it, and the two pieces can be “glued” together with frosting for a creepy three dimensional effect. Domed portions of the cake can be trimmed off for a tighter fit. 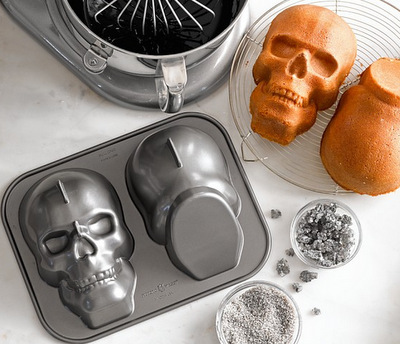 Nordic Ware isn’t the only cake pan maker to come out with a skull pan. Wilton has also had one for a while now. The Wilton pan is lighter weight and might be slightly less expensive if you shop around, but the skull also has a different shape than this one. That skull is not completely skull-shaped when baked. Instead, the base of the skull is slightly more like a stand for propping up the skeleton face. Â The back of the Nordic Ware pan is more rounded and skull-like, though both pans still bake up a creepy cake that is absolutely perfect for any Halloween celebration. 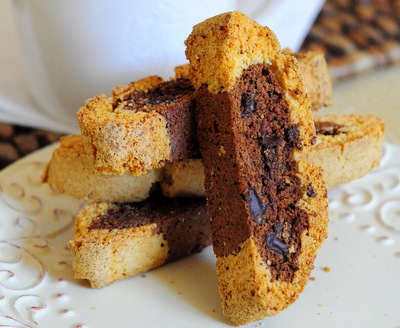 I love this cake pan!!! I just baked a chocolate cake in this pan for the first time and the results were PERFECT! No little bits of cake got stuck onto the pan or anything. If anything, it was easier to remove than a normal cake pan! I’m not sure how other cake recipes will turn out with this pan but the recipe I used was “Too Much Chocolate Cake” from Allrecipes.com.